Check out these camel hairstyles! Proud cameleers display their abilities in various competitions from camel racing to designer shearing. Love those patterns! Camels are versatile, thriving in harsh desert conditions similar to the Australian outback. Since visiting a local camel dairy farm, I read the blog of Dr Raziq of Communities Animal Genetic Resources and Food Security to discover more about the biodiversity of original camel country. 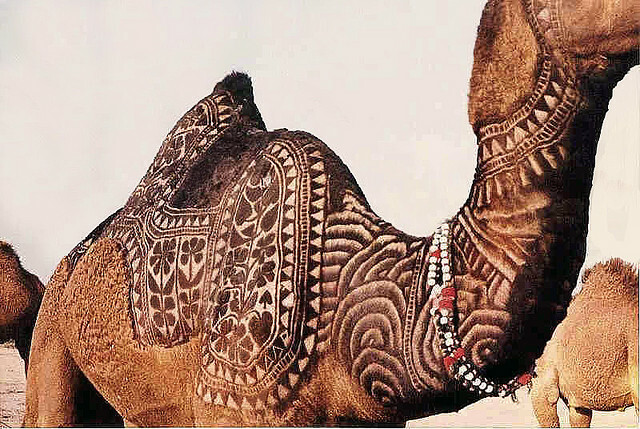 And beautiful camel hair designs.